Platinum Engraved dual shank design diamond semi mount. 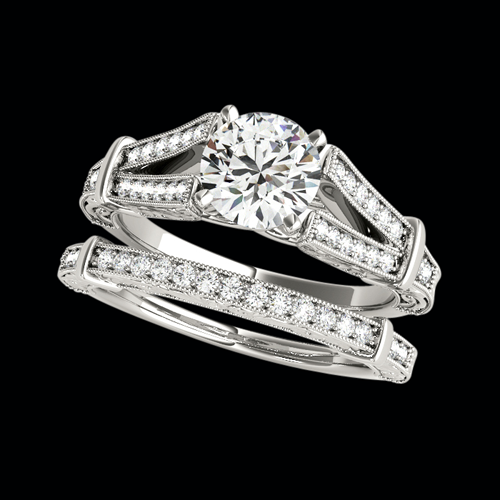 This modern style ring is set with 1/5ct diamonds before your center diamond choice. Milgrain borders, scroll engraving, and accent bars give this ring a style all it's own. Diamonds in this ring are SI 1-2 clarity G-H color. Additional qualities also available. Matching band available at an additional cost. Email sales@platinumonly.com for additional pricing and information.